San Martin Corrientes (La Liga) added to their roster 23-year old Paraguayan international forward Gabriel Peralta (201-95). He played last summer at Olimpia in Paraguayan Metropolitan League. 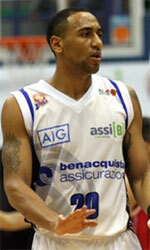 In three Liga Sudamericana games he had 8.3ppg and 1.7rpg. 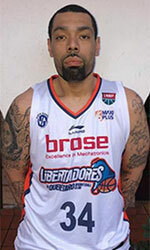 The last season Peralta played at Atenas (TNA) where in 43 games he recorded 4.5ppg and 2.5rpg. He won Paraguayan Metropolitan League championship title in 2015. Peralta also represented Paraguay at the ODESUR Games in Cochabamba (Bolivia) this year. He has played also professionally in Paraguay for Libertad.